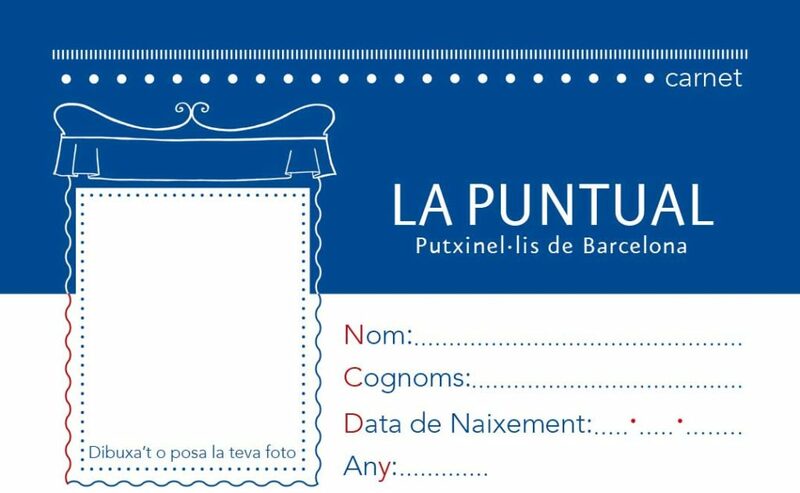 If you know the story of Patufet, of Pinocchio, Malic or Greta; if you know that La Puntual is the smallest theater in the world or if you like to come since you are very small… This card is for you! In La Puntual we created the La Puntual Friend Card, an exclusive card for our most faithful friends. What do you have to do to have it? Come to the theater, tell us that you want to become a Friend of La Puntual and we will make your card completely free*. With it you can enjoy extraordinary activities, get gifts and exclusive sessions that we will announce. Do not forget to show it at the box office whenever you come! *The card can only be done in person at the box office of La Puntual within the function hours from Friday to Sunday.